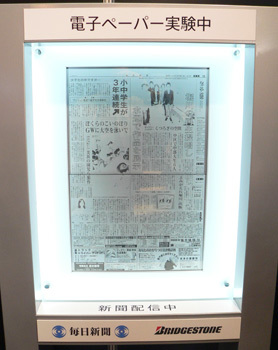 Wonder no more and instead enjoy the marvel that is Bridgestone’s full-size steam-powered electronic newspaper. Feel your mind boggle as it turns its own e-paper pages in a mere 15 seconds. Aw, just watch the thing, ok? Sponsored links: We offer best quality MB5-858 dumps test papers and ccie dumps materials. You can get our 100% guaranteed 70-648 exam questions & ccia to help you in passing the real exam of 642-637.